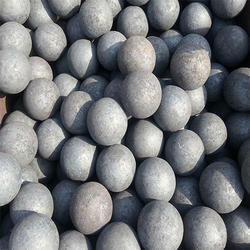 Our clients can avail from us chrome casting grinding media balls also known as high grinding media balls. These are appreciated for their sturdiness and efficiency and thus find usage in a number of industrial purposes. The range can also be customized in accordance with the requirements of our clients. Our clients can avail from us a premium quality assortment of Hi Chrome Grinding Media Ball. Our organization is well known in the market for providing a broad assortment of High Chrome Steel Grinding Media Balls to our clients. Being a customer oriented organization, we are deeply engaged in offering a wide array of High Chrome Grinding Media Balls. 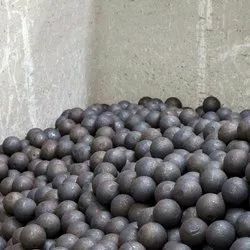 Our Hi Chrome Grinding Media Balls are well received by our clients because of its efficiency as well as durability and are made use of for varied industrial processes. These products are customized and supplied as per the need of the clients. We are Leading Mnaufacture and Supplier of the Hi-Chrome Grinding Media Balls. Si - 1 % Max. S - 0.06 % Max.
) HARDNESS: When tested in accordance with IS 1500/1983 the hardness at any point across the section of the ball is 600 BHN. (c) MICROSTRUCTURE: Fine martensitic structure with dispersed Eutetic secondary carbides. (d) HEAT TREATMENT: The grinding media is suitably heat treated to obtain the required hardness and Microstructure.